This side cabinet was originally designed to house stereo components. With adjustable shelves inside, it could be used for just about anything. This is a made to order piece of furniture. Some sizes may be customized to suit your needs. 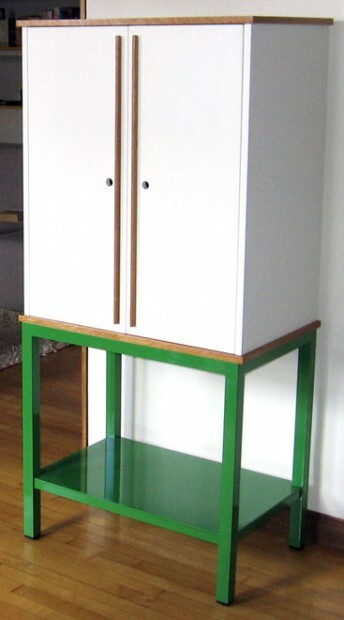 powder coated aluminum base, maple plywood and solid white oak cabinet.